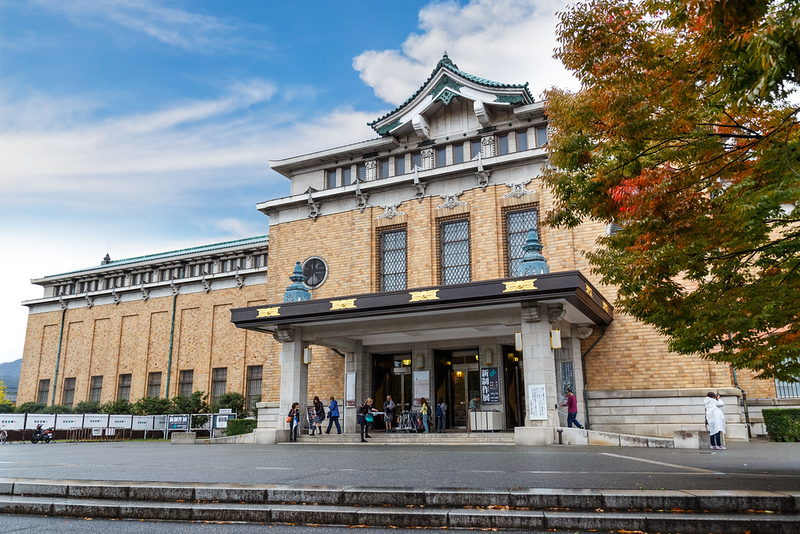 The Kyoto Municipal Museum of Art is the best museum in Kyoto (it’s only eclipsed by the Kyoto National Museum when the National is holding a special exhibition). Located in Okazaki-koen Park, on the east side of the vast torii (shrine gate) of Hiean-jingu Shrine, the Kyoto Municipal Museum of Art is always worth a look. There are often free shows being held on the first floor and many of these are of surprisingly high quality. The also hold a variety of special exhibits which usually feature various famous Japanese artists or art movements. But, the highlight of the year here is the Kyo-ten exhibit, which features some of the best artists living and working in Kyoto, working in a wide range of media from oil paintings to lacquerware to textiles. It’s usually held from late May into early June. If you’re in town then, don’t miss it! Please note that the museum is presently being renovated. Construction is slated to finish in March 2020. During renovation, you can still visit the museum, but you might have to enter by an alternative entrance. :: Check availability and pricing for hotels near to Kyoto Municipal Museum on Booking.com or Agoda.com. See also my previous post on the Seika University Graduation Works Show which is held at the museum. Kyoto Municipal Museum of Art is located in Kyoto’s Northern Higashiyama district. See our complete list of things to do in Northern Higashiyama, including places to eat, nightlife and places to stay.